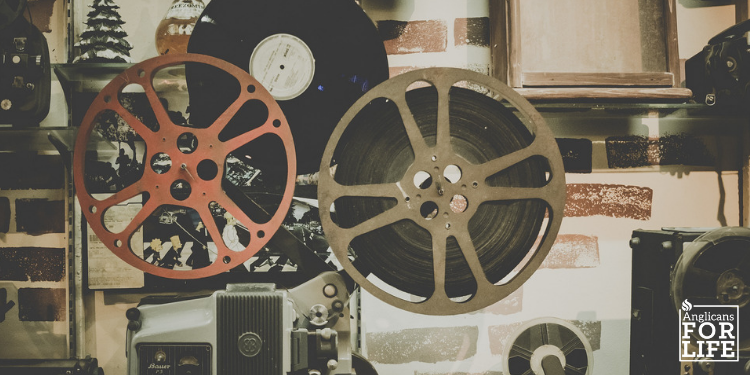 Here’s a list of pro-life films that will educate and inspire you, your church, and your communities in doing life ministry. The film is the shocking true story of the investigation and trial of Dr. Kermit Gosnell – his 30-year killing spree and the political and media establishment that tried to cover it up. Originally investigated for illegal prescription drug sales, a raid by DEA, FBI & local law enforcement revealed crimes they could not have expected within the clinic. 40 is an inspirational movie that examines the effects of abortion on our nation over the last 40 years since Roe v. Wade. The film presents abortion as the most important human and civil rights issue of our time. 40 also reports on the youth at the annual March for Life as the generation that will end abortion. A Closer Look at the Chemical Abortion Pill shines a spotlight on the growing threat posed to women’s health and safety by chemical abortion. Induced with a combination of drugs, these abortions are not only deadly to the baby, but research shows they can be four-times more dangerous and traumatic for their mothers than surgical abortions. In this special program, developed by the same Emmy® Award-winning production team of Life Issues Institute’s weekly television show Facing Life Head-On, you will hear how women are cruelly deceived by abortion advocates who portray the abortion pill as a safe, easy and near-painless solution to an unplanned pregnancy. Both women said it was more painful than labor and delivery of their live children. Every year, western donor nations, organizations and private foundations pour into the continent of Africa, billions of dollars earmarked for the support and promotion of “sexual and reproductive health and rights”. But no one ever follows the trail of their funding to know where and how it ends up. Strings Attached is a feature-length documentary that presents the African side of the story of enthusiastic western donors and the African recipient of their “gifts”, particularly, the African women who are the primary targets of the donors’ dollars. When Juno, a teenage girl pregnant by her best friend, finds out that her unborn baby has fingernails, she decides to forgo her plan to have an abortion, and instead embarks on a quest to find a family responsible enough to adopt her child. Winner of the 2008 Academy Award for Best Writing, Screenplay Written Directly for the Screen, and Nominee for the 2008 Academy Awards for Best Actress, Best Director, and Best Picture. *Warning: crude language. Stunned by the truth of her birth, Hannah sets out on a road trip with a band of misfits to discover her past and find hope for her future. Based partly on the true story of Gianna Jessen… and there was more than one miracle story on-set. A documentary that traces eugenic thoughts and practices that have been set against African Americans from the time of slavery through the present. After running away from her abusive mother, a streetwise teen (Vanessa Hudgens) seeks refuge with her father — but he rejects her when he learns that she’s pregnant. This grave documentary spotlights the cultural traditions that surround widespread female gendercide and violence toward women in India and China, featuring Reggie Littlejohn of Women’s Rights Without Frontiers and other pro-life leaders. Stranger Sam Doonby’s arrival affects everyone in a little Texas town, especially as he seems to have a knack for preventing disasters. This brilliant parable has moments of levity, overwhelmed by an intense finale. Norma McCorvey (“Roe” of Roe v. Wade) has an important cameo role, trying to talk a young girl out of an abortion. A Jewish waiter (Oscar winner Robert Benigni), his wife and their son are sent to a concentration camp, where the waiter tries to protect his son’s innocence by playing a game. Steven Spielberg directs this story about the 1839 revolt aboard Spanish slave ship La Amistad and the uprising’s tragic aftermath.